Entrepreneurs, startups, and small businesses in food retail face an enormous obstacle: established brand giants. Of course, that’s an obstacle faced by small businesses in any market, but it tends to be a larger obstacle for niche food brands. That’s due in part because people tend to be very particular about what they choose to ingest, which can make for extreme brand loyalty. That very personal, very particular concern about what one eats and drinks serves as an extremely powerful motivator to choose the best products on the market. This can mean that over time as different trends and health information come to light that people can be looking for products to potentially replace the brand giant they grew up with or are most familiar with. That provides an “in” from which a shrewd food retailer can carve out a sizable chunk of market share, particularly when partnered with a competent CPG marketing agency. It can be frustrating, to say the least, for niche food and drink producers to have a product they know tastes better than, and can be competitively priced against, a leading brand, but still doesn’t gain traction. It’s even tougher when said producer knows their product is healthier to boot. The key is knowing exactly who the customer you’re looking for is and why they would choose you over a brand giant. Once you’ve established that customer and established yourself as a preferable alternative to the brand leader, the giant’s size and dominance works in your favor. People buying something that isn’t produced by a global conglomerate are often buying it in large part because it’s not a food giant. They’re likely buying a niche product because they believe it’s smaller-batch, with more perceived personal attention to quality. This may be due in part to higher quality ingredients that are locally sourced and a final product that is prepared in something more closely resembling a kitchen rather than a massive production complex. The secret weapon for any niche food producer hoping to help get their brand onto shelves is a good food broker (aka grocery broker, CPG broker). A reputable CPG broker will be familiar with the territory, including the owners of local stores and buyers from the chains. And not just locally. An experienced grocery broker should be generally familiar with national and international vendors, retailers, and wholesalers. As their job requires selling products like yours, they know what sells and how to sell it. The nature of the business means that the top full-service CPG brokers will be part sales and marketing agency, part brand expert and ambassador, and part deal-making liaison. It can be frustrating, but even with a great product, landing your niche item on the shelves, where it’s positioned to compete against the giants, requires more than an excellent consumable commodity and determination. There are seemingly endless amounts of work to be done, both minor and major, to not only get, but keep your items on the shelf. For instance, your product has to be competitive and appealing in its packaging, pricing, and presentation in the store. Its high-volume production logistics have to be viable, streamlined, and financially sustainable. There also needs to be visible in-store advocacy. That might mean a prominent end-cap in a high-traffic region of the store, a window-sign, or sign at the register. On-shelf display may require fine-tuning so your product doesn’t get buried and lost. All of that requires contacting the appropriate representatives and negotiating the terms. That’s not to say that a food producer can’t do it, but not many niche food producers are already acquainted with the grocery retailing powers-that-be like an experienced food broker is. At the end of the day, if you’ve got a good product and are willing to adapt and jump at opportunity when it presents itself, with a good food broker you can compete against industry giants and prosper. Founded in 1994, Impact Group focuses on employing empirical, fact-based data on consumer buying and CPG marketing trends to guide their clients onto the most productive growth paths. This approach, which utilizes their proprietary technology, has resulted in Impact Group emerging as one of the most effective and respected players in the CPG space. They’re also a trusted sales and marketing agency. Impact Group remains large enough to make an impact, but streamlined, efficient, and nimble enough to specialize, optimizing growth for any client’s niche. Meal Kits: Fleeting Fad or Here to Stay? First off, what are meal kits? As the name promises, meal kits are a collection of all of the ingredients you’ll need to create a specific meal—proportioned ingredients, spices and sauces, and step-by-step instructions—combined in a single kit. Meal kits are usually ordered online from companies such as HelloFresh and Blue Apron. They typically arrive once a week as a subscription service, have two or more servings per meal, and usually are designed to be completed within an hour or less. Who is Buying Meal Kits? Although the age, income level, and general situation of consumers buying meal kits vary considerably, they tend to be more popular with a younger demographic. Perhaps predictably, the specific younger demographic most likely to order and eat meal kits are urban, middle- to upper-middle-class millennials, with men being slightly more likely to use a meal kit service than women, according to a survey conducted for MONEY. Why Are They Buying Meal Kits? The combination of relatively haute fare and the convenience of pre-prepped ingredients has proven to be a good fit for the up-and-coming generation of consumers. A good fit valued at $4.65 billion as of 2017; which explains the interest shown in the niche market by the food industry and every sales and marketing agency working in the food retail space. Are Meal Kits Hurting Traditional Food Retailers? It’s hard to say how much trade is being siphoned from grocery stores by the meal kit industry. 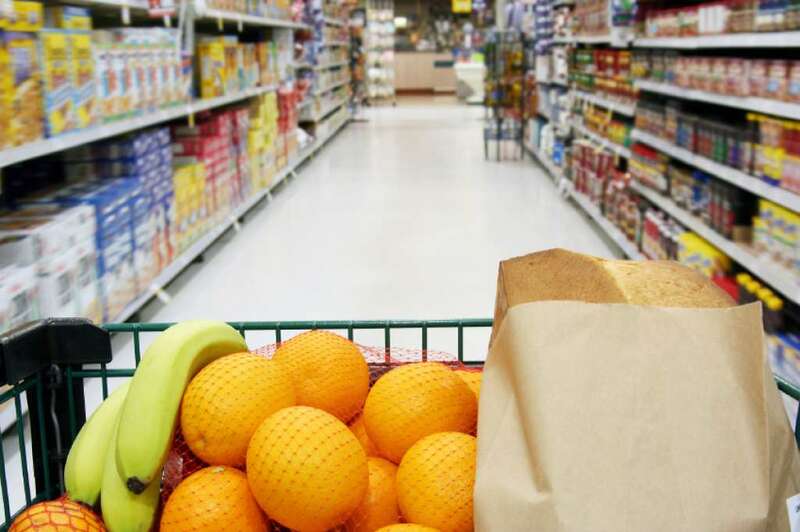 It’s clear that they do represent just one branch of the internet food provision phenomenon that’s taken a significant bite out of grocery stores’ bottom line. However, even the statistics that are available on the popularity and prevalence of meal kit services aren’t entirely telling because it’s a market with a very transient customer base that makes determining the long-term toll being taken difficult to determine. 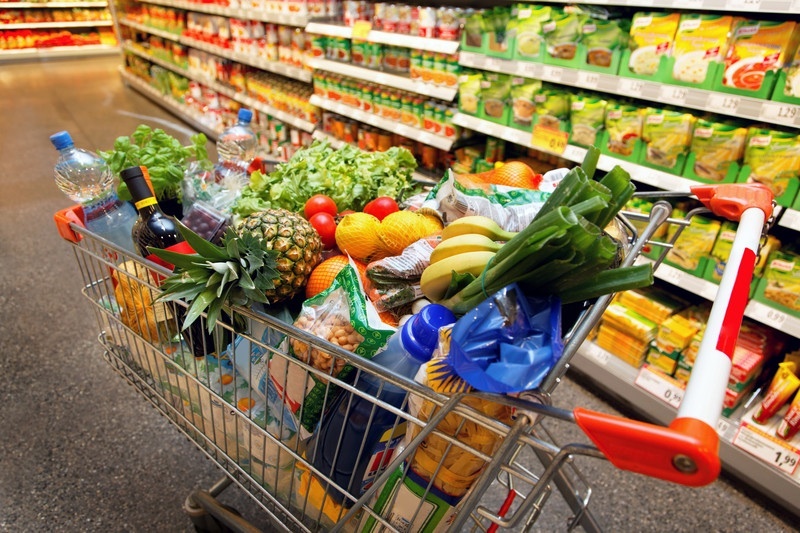 How are Traditional Food Retailers Responding? Everyone wants a bite of the meal kit pie. The major supermarket chains are scrambling to get in on the action with their own dedicated meal kit brands and by acquiring established kit distributors, and they’re willing to commit serious capital to do so. Albertsons acquired meal kit service Plated in September 2017 for $300 million. And Kroger announced in May 2018 that it would pay $200 million for meal kit provider Home Chef, and would shell out an additional $500 million if Home Chef’s in-store and online numbers met Kroger’s sales goals. That’s in addition to Kroger’s bespoke Prep+Pared meal kit brand. Wal-Mart has also gotten into the action, and launched its own meal kit brand in March 2018. Like pretty much every other retail trend, whether or not meal kits are here to stay is a complicated issue. The short answer is: Signs point to yes. With a multi-billion dollar-spending customer base and the fantastic sums being invested in the meal kit niche by the mega-corporations of food retail, it’s likely meal kits will be on the shelves and in people’s homes for the foreseeable future. That said, it’s worth keeping in mind that the internet meal kit model features a notoriously fickle customer base. In fact, a study by Second Measure found that Blue Apron retained only 15% of its customers after their first year with the company. Similarly slim retention statistics were found to apply to the other meal kit services as well. Where did those customers go for their food after canceling with the online services? Back to the brick-and-mortar grocery stores. So while meal kits are seemingly here to stay, it could be that many paying for meal kits in the future might just be doing so inside their local grocery stores. Working with a reputable sales and marketing agency such as Impact Group can help place and keep your product on the shelves and keep your brand on the forefront of industry trends so you stand out and stick around. When Impact Group was founded as a CPG marketing agency in 1994, they focused on leveraging empirical, fact-based data on consumer buying and marketing trends to guide their clients into the most productive growth paths. This approach, utilizing proprietary technology, has resulted in Impact Group emerging as one of the most effective and respected players in the CPG space. They remain large enough to make an impact, but streamlined, efficient, and nimble enough to specialize, optimizing growth for any client’s niche. It’s no surprise that retailtainment has become so popular that more than 75% of millennials report that they’d prefer to spend their money on a memorable experience or event than on a desirable item. Needless to say, the retailer who can leverage retailtainment to capture the attention and cash of 3 out of 4 millennials in their market—providing an experience while entrancing them to buy—is going to be doing very well. It’s a demographic that no sales and marketing agency can afford to ignore. However, at first glance, retailtainment may not seem to be a trend that lends itself to the grocery market. Some researchers have suggested that the merger of entertainment and retail is more conducive to customers when they are in a place, mentally and physically, to spend more disposable income. Although committed readers and anglers may disagree, no one needs to be spending money in Barnes & Noble, or in Bass Pro Shops (or their in-store bowling alley). Groceries, however, are a necessity. Not to say that there haven’t been some forays into grocery retailtainment. Trader Joe’s has established a Hawaiian shirt, Tiki culture nautical theme that contributes to the fun, crunchy, laid-back Jimmy Buffett-esque brand association that’s done the chain no harm. And Whole Foods has certainly succeeded in cultivating the local co-op with eatery and coffee shop vibe. But these are both more cultivated chain themes than active retailtainment campaigns. So how can grocery stores, CPG brands, and the CPG marketing agencies that service them capitalize on retailtainment? 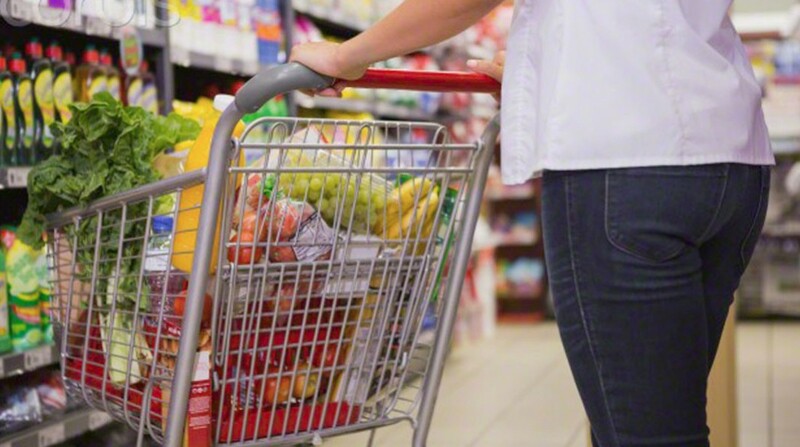 While patrons enjoying themselves in the grocery store certainly can’t hurt and likely drives loyalty, the priority isn’t integrating entertainment into grocery retail to generally entertain customers while they shop, it’s to entice them to purchase and try out products, whether they’re new on the shelf or old favorites. Some of the retailtainment experiential draws can be variations of the ones that work in non-grocery retailers. Anything that keeps customers in-store longer is, statistically, going to make money for the store and the brands within. Consider the book reading and book signing retailtainment events at retailers like Barnes & Noble—could this be paired with a cooking demonstration and an author who’s a chef or blogger to inspire (and/or feed) your customers? Could kids make Halloween-themed snacks with a trusted mom blogger or founder of a product on the shelves? Meanwhile, could parents whip up a fresh vinaigrette using brands sold in-store, or watch local chefs put together creative concoctions and then vote on the winner? Couldn’t most college kids use a basic cooking class, or compete against others to win a gift card and then stock up on essentials afterward? And surely there’s something one could do with football and tailgating season upon us. Consider your store or product’s target audience and location, as well as the time of year, and the retailtainment opportunities can seem limitless. And beyond just hosting or pitching these events to stores or the community, post about it on social media, before and during. There’s no better source of exposure than parents communicating on social media about the activities and events a business and/or brand offers for them and their kids; likewise with millennials sharing a photo to show off a new skill or creation. Since groceries fall in a necessity category, and aforementioned researchers have cited success with disposable income and retailtainment, it may make sense for grocery outlets and brands themselves to offer experiences perhaps related to food and drink as “lifestyle-elevating commodities.” This could mean promoting wine and cheese instead of trying to engage consumers to purchase milk and cereal. A number of grocery stores already employ in-house sommeliers and specialty cheese sections, a combination that seems well positioned to be the primary purveyor of educational wine and cheese tasting events. Product-centric “cooking shows” featuring professionals demonstrating the deliciousness and versatility of a brand or a commodity likewise leverages food as an experience to be savored. Whatever specific tack stores choose to take, it’s clear that retailtainment has the potential to capture a huge share of today and tomorrow’s consumer base. 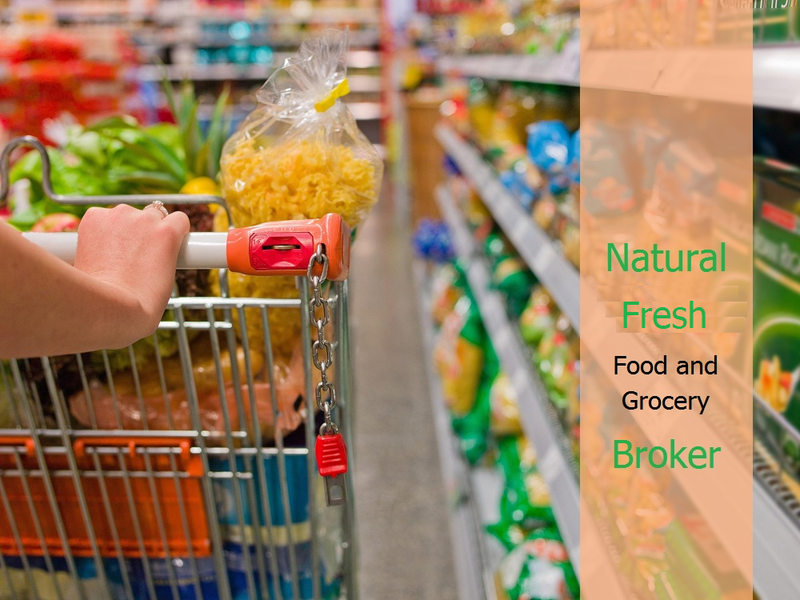 Work with a trusted CPG broker to understand and adapt to industry trends so that your products stay on the shelves and in front of the eyes of consumers. When Impact Group was founded in 1994, they focused on leveraging empirical, fact-based data on consumer buying and CPG marketing trends to guide their clients into the most productive growth paths. This approach, utilizing proprietary technology, has resulted in Impact Group emerging as one of the most effective and respected players in the CPG space. They remain large enough to make an impact, but streamlined, efficient, and nimble enough to specialize, optimizing growth for any client’s niche. Despite science fiction authors, futurists, scientists, and even world leaders having predicted the arrival and even takeover of cultured meat for years (Winston Churchill declared that it would make the current practice of animal-based meat production an “absurdity”), the viability of animal-free, clean meat right now is by no means a sure thing. And skeptics have cited a number of possible drawbacks. However, the case for cultured meat is extremely compelling, and if it became a viable product, it would change everything; not just for the grocery retail industry or consumer packaged goods (CPG) brokers, but for human life around the planet. So what are the potential benefits and drawbacks of cultured meat? The benefits of cultured meat have the potential to be massive. If it became a cost-effective practice, an influx of cell-based meat would have tremendous environmental benefits. For one, cultured meat takes less space to produce than traditional animal-based meat. This means numerous acres of land could be repurposed or used for reforestation, parks, and agriculture efforts to feed human beings rather than to feed and support livestock. This repurposing would almost certainly improve the ecology of places not directly involved in ranching or meat production, as cattle farming alone is responsible for 18% of global greenhouse gas production. That’s more than the greenhouse gas emission pollution from all of the world’s transportation systems—cars, trucking, planes, ocean shipping, trains, etc.—combined. Not to mention, the markets that cell-based meat could potentially open up could prove a huge boon for those earlier-mentioned CPG marketing agencies. A number of religious scholars have pointed out that the production of meat from non-animal sources might bypass doctrinal food restrictions, even for pork. And it’s not unfathomable that those who have given up or reduced their consumption of meat due to moral or ethical reasons might, with cell-based meat, reconsider. What food broker agency wouldn’t jump at the opportunity to provide pork or beef to large, newly interested parties? Consider the opportunity for food brokers, food brands, and consumers alike when “guilt-free meat” hits the market. That’s not to say that there would be no drawbacks, however. Right now, cultured meat is still prohibitively expensive; a pound of cultured beef is estimated to cost around $2,500. Of course, as supporters note, and as is the case with other scientific advances, the more we learn and experiment, the less expensive and more efficient the production of cultured meat will become. There’s also the more nebulous concern that people just might not be comfortable with the concept, and the reality, of cultured meat. It’s possible that the masses wouldn’t be comfortable eating meat not harvested from an animal, but instead a petri dish. Even if it were to become affordable, would consumers embrace it? And how would it taste? Although it’s hard to imagine, considering the potentially massive rewards, it’s likely that there’s a sales and marketing agency in existence that would love the opportunity to change the way we think about—and purchase—meat.